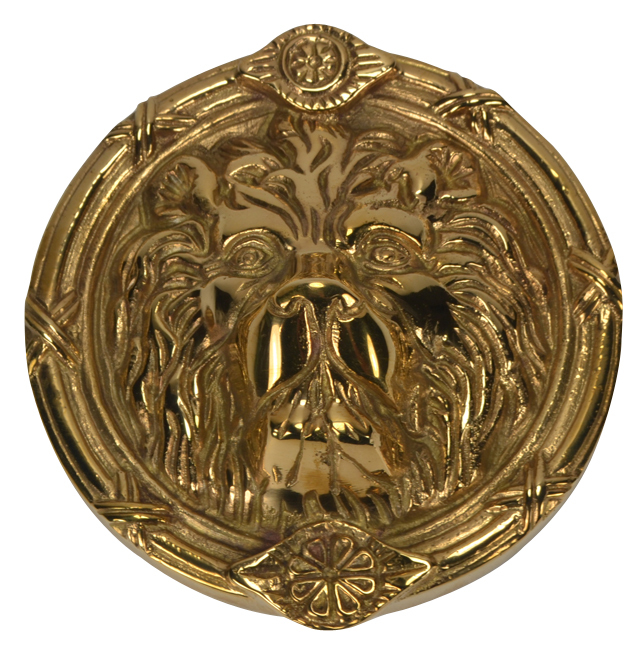 The diameter of the Solid Brass Lion's Head Medallion measures 4 3/4” with slight protrusions on the top and bottom of the design (It measures 5 1/8" from top to bottom). Lost wax casting with a high level of detailing. The lost-wax casting process, sometimes known by the French name of cire perdue is an ancient practice that is still used for artwork today and it is used to preserve the fine details of the original components. Pictured here in polished brass. Also available in brushed nickel (and other finishes as a custom order).